The Nichols Memorial Library circulates a Kindle* eReader for patron use. Use it for vacation and travel, if you have trouble holding the printed page or or just to try out the eReading experience. Our Kindle contains a variety of contemporary and classic material. 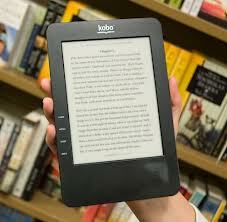 The Kindle may be borrowed by any library card holders in good standing, 18 years old or older. Users must sign a borrowing agreement prior to use. Parents or a guardian must sign the borrowing agreement for underage borrowers. You can read our full borrowing policy at the link. We are excited to be offering this latest expansion of our digital services.